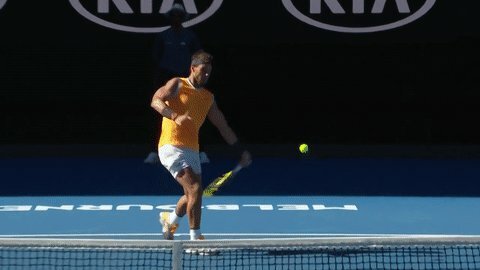 #AusOpen's tweet - "This whipping forehand will never get old @RafaelNadal! He's in a tug-of-war with #Berdych for the third set, after winning the first two. #AusOpen "
This whipping forehand will never get old @RafaelNadal! He's in a tug-of-war with #Berdych for the third set, after winning the first two.